To be eligible for transfer admission to any University of California campus, you must complete the following specific subject and scholarship requirements. Some majors require additional major-specific preparation as well. It is strongly recommended that students complete UC transfer requirements in the areas of English composition and mathematics by the end of fall term prior to enrollment, in order to receive priority consideration. You must earn at least a 2.40 GPA in your UC-transferable classes to meet UC requirements; California non-residents must earn at least a 2.80 GPA. 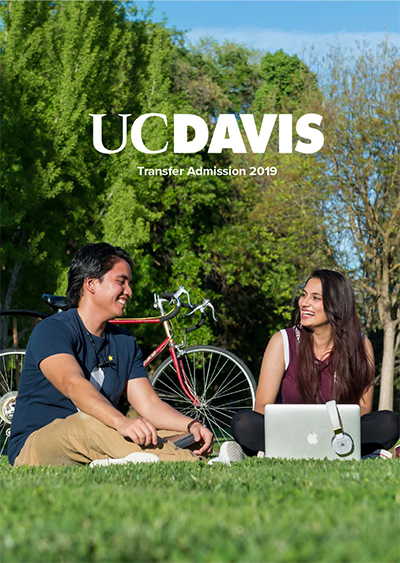 However, UC Davis requires a minimum 2.80 GPA to be selected for admission, and many of our most popular programs may require a higher GPA. Strive to achieve your highest possible GPA in order to be most competitive. No more than 14 semester (21 quarter) units may be taken Pass/No Pass.